A Comparative Market Analysis (CMA) is basically a market report for a specific property. To do a CMA we simply pull data about recent sales, current listings, and expired listings (called comparables, or “comps”) of nearby homes that are similar to the subject property in terms of size, bedroom count, features, etc. This data shows us what buyers are currently willing to pay for homes in the local market and helps determine the “fair market value” of the subject home. 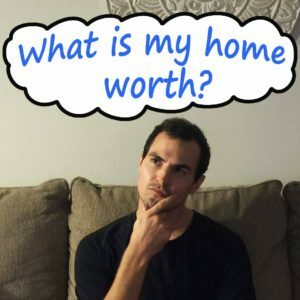 Each one of these types of comps helps us determine how to properly market a home. By examining the differences from one closed sale to the next, we can paint a more complete picture of what the current market will bear. Typically, closed sales will fall within a range of values rather than pointing to a single value. There are several reasons for the differences in price from one house to the next such as condition, location, nearby stores and schools, and the marketing that was done for the home. So, it is important to go through and figure out why some comps sold for more or less than others and figure out where the subject property belongs in this range. Active listings are helpful because they show us what other sellers in the area are asking for similar homes AND how long their homes have been on the market. We want to make special note of homes that have been sitting on the market longer than the average market time for the area, which is a good indication of an "overly high" list price. We also want to take expired listings into consideration. An expired listing is an example of a home that was listed for sale but failed to find a buyer. There are many reasons that a home could have trouble selling, but the most common reason that a house doesn't sell is that it was simply priced too high. High list prices scare aware buyers. It seems counter-intuitive, but in order to get a better price for a home it is best to list within the market value, or even a little lower... This approach allows the seller to fetch a lot more interest from buyers and end up in a multiple offer situation.